Mother's day dates vary throughout the year. Yes! No one day of the year celebrates moms all around the world. While in the US and India it is observed in the month of May, in the UK it is marked on the 31st of March which is the last Sunday of the month of March. It always takes place on the fourth Sunday in the festival of Lent, exactly three weeks before Easter Sunday. Mothering Sunday is celebrated in some parts of Europe and the UK to honour moms and motherly figures. However, it is said that in the UK it was formerly linked to religion. Eventually, it lost the connections to the church and is considered as a family day to thank mothers. In the US, Mothering Sunday is an annual holiday in the US held on the second Sunday in May whereas in the UK the dates are linked to Easter that changes every year as the lunar calendar decides it. Mother's Day 2018: Know What is Mothering Day And Why Mother's Day Date Changes in Different Countries. All moms are the best! Moms, you deserve all the love in the world! 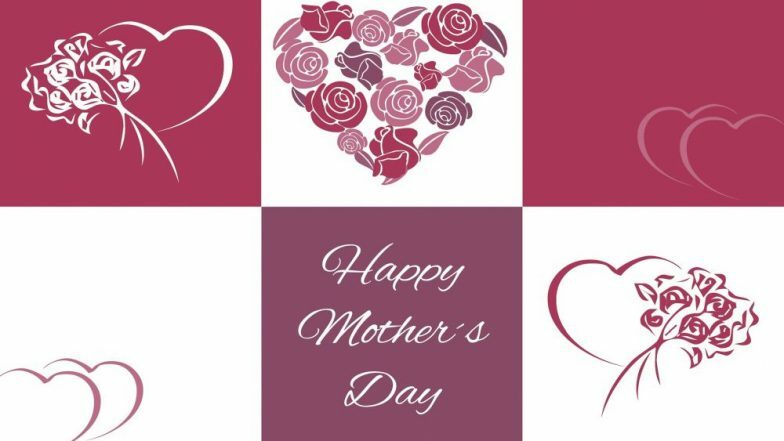 "Happy Mothers Day to all those fabulous mums and all the supportive & caring women in your life!" Happy Mothers' Day to all the moms in the world. There is nothing that can match your love care in the world. Mother’s Day Nightmare: A Mother of Six Receives Cake From Her Daughter Who Died Two Days Ago!